TaylorMade Golf Company were the recipient of nine gold medals in the 2014 Golf Digest “Hotlist” equipment issue. The most notable of those gold medals was the SLDR, which made Hotlist history by becoming the first driver to earn five stars in the categories of: Performance, Innovation, Look/Sound/Feel and Demand. Here is my review of the TaylorMade’s Gold Medal driver. My press trip to Lisbon, taking in five great courses in five days, allowed me to put TaylorMade’s new SDLR driver through its paces. I was intrigued to see the next step in TaylorMade’s adjustable drivers – how it would feel and if there were any improvements on the R1. One of the first things I realised is that this driver isn’t in competition with the R1 and is aimed at the golfer who doesn’t want all the technical information to make adjustments, just a simple way of making the ball draw or fade or just counter their usual ball flight. The SDLR is simplicity itself and I am not sure you could get a more user-friendly, self-explanatory adjustable driver. The design on the sole plate is perfect. Move the slider towards the toe and it gives you a fade; move it towards the heel and you get a draw. In fact what you’re actually doing by shifting the slider is moving the weight from the toe to the heel, and there are 21 different positions for you to choose from. 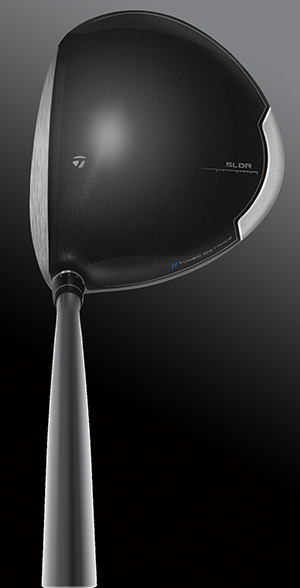 For those who also like to adjust the loft of the club you still have that capability, and the loft on the SDLR is adjustable by plus or minus 1.5 with the driver available in 9.5, 10.5 and HL. That’s twelve positions – like having 12 drivers to choose from – and as I found in Portugal you can judge the conditions just before you step onto the first tee and adjust your driver accordingly. The SLDR uses a 20-gram sliding weight on the sole plate and offers over 21 different positions to help you gain the ball flight and control you desire. That sliding weight also means the centre of gravity is now located low and forward, giving you a great penetrating ball flight that achieves some great distances. So much so that some of the professionals who use the SDLR are now adding loft, giving them more control while gaining distance. TaylorMade’s loft-sleeve technology is still present in the SDLR and you are able to adjust the loft of the driver by plus or minus 1.5° giving each driver 12 different loft options from which to choose on the day of play. One of the first things you’ll notice is the sound at impact. I was slightly surprised, and it took me a while to adjust. But as I got used to hitting the SLDR driver, the more I started to like the solid sound emitted, and you will love its echo round the trees. One other issue: how does the driver sit at address with the weight on the sole plate? No need to worry – it sits perfectly and I have to say I like the dark grey crown and the 420cc head that inspires confidence. I’ve tested a lot of drivers and TaylorMade always seem to surpass themselves just when you think there are no more advancements to be made out there. This club not only simplifies the adjustable technology that they’ve been pioneering over the last few years, but the gains in distance they have achieved along the way have been great for the ordinary club golfer. 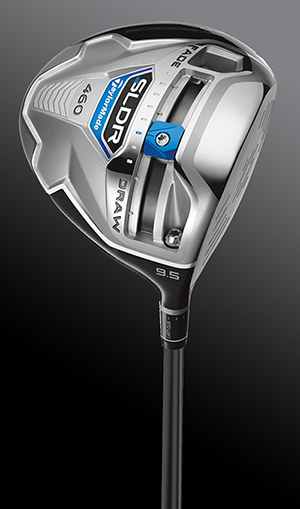 From low to high handicappers there is something for you in the SLDR driver, and I would recommend you go down to your local professional with your Christmas money and give this a go – it truly will be Christmas every day once you do.